There’s an old analogy about buses; you wait ages for one to show up, and then two arrive at the same time. This seems to be the way with point and click adventures for me at the moment. I hadn’t played anything really good in the genre for a really long time, and then recently I had the pleasure of getting a go at Tsioque and the brilliant little game we’ll be discussing today. Incidentally, go and play the former of these two games, it’s really good. Don’t do that just yet though. I want to get done telling you all about my time with Trüberbrook first. I’m very reluctant to use the word “masterpiece,” but to be perfectly honest, I’m not sure I can think of an equally suitable description for this gem of a game. So were to begin? Well let’s start with the level of detail that’s clearly gone into this title. You can see from the moment you start that this had to have been a labor of love. Apart from the fact that Trüberbrook is absolutely gorgeous you can click on so many areas of the world. Not all of these hotspots are going to be useful to your puzzle solving but nothing feels superfluous. You actually want to read and hear every bit of description in the game just because it’s so damn well written. Even things that don’t directly influence the story feel necessary because they help build layers to the world that surrounds you and at the very least add a little bit of humor to the game. Speaking of humor, the storyline to Trüberbrook is really well written and although not necessarily laugh out loud funny has just enough mirth to keep you playing along with a smile on your face. The characters, although a bit odd in places, are really lovable and the witty dialogue just helps. One example of this is a puzzle that you have to solve involving an old fellow’s “cat.” Being large furry and orange, however, does not a feline make. Klaus is as loyal a pet as anyone could have and, despite being a fox, spends plenty of time stuck in a tree. I found myself actually chuckling at myself because I did a double-take as said pet wandered across the screen. It’s these little things that make you laugh sometimes just as much as obviously written gags. So what’s the story about, then? That would be an excellent question, and guess what? You know me so well by now, I’m not telling you. Not to be mean but this is a game where spoilers will actually spoil the story as opposed to just leaving you a bit miffed and I’m not going to do that to you. It’s about the antics of two lead characters, Dr. Hans Tannhauser and Gretchin, both of whom are scientists in different fields. The story builds around a little German town called Trüberbrook and that’s actually all I’m telling you. It’s kinda got a Twilight Zone feel to the plot so if I go opening my mouth it’ll just ruin it for you. What I will say is that it’s awesome and I will definitely be finishing it to see what happens. Suffice it to say there’s been some odd goings on in the old mine. The puzzles in Trüberbrook are a perfect level of difficulty. There isn’t any hand-holding in this game so you actually have to think about what you’re doing, which is great. On the other hand every solution feels logical. I have no issue with a bit of moon logic – it’s something that defines the point and click adventure genre – but too many games go too heavy on the weird. If it comes to the point where you’re clicking everything with everything else just to get a result you aren’t puzzling anymore, you’re guessing and too much guessing defeats the object. Something else I love is the way items combine. You don’t need to spend six hours fooling about in your inventory to see what works with what. If you have a set of items that solve a puzzle they’ll all appear next to each other in your radial and you’ll just use them. This is so much better than faffing about. Speaking of radials, this game plays like a charm. Everything you do falls into a little radial menu. So for each hotspot you have the option to “talk”, (for people obviously,) “view” to get a description, “use,” for picking up items etc or go into your inventory and activate what you already have. It’s really that simple, everything else is point and click. These games are all about story so they don’t need complicated controls, Trüberbrook has nailed it with the interface. As I mentioned earlier this game is a joy to behold. The graphics are beautifully drawn and each area has it’s own very distinctive feel. For me at least, it really was like playing through an episode of Tales of the Unexpected something that I really liked. The characters themselves have an animated feel to them, but not cartoony. 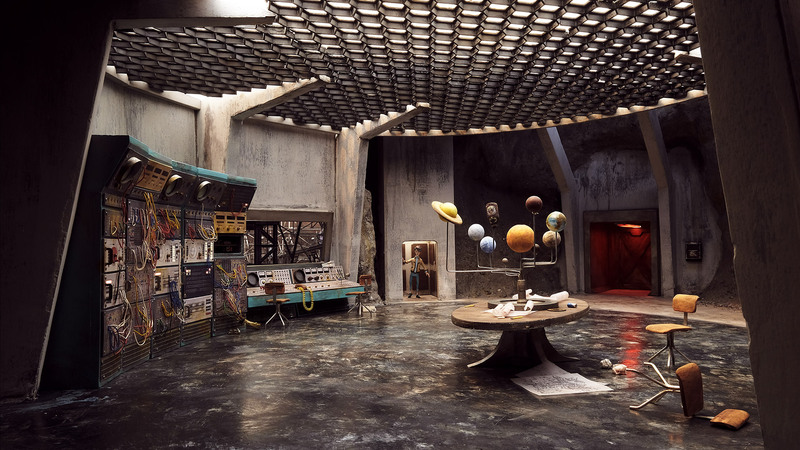 I wouldn’t be surprised at all if some stop-motion work was done here. The characters have a sort the sort of 3D feel that isn’t rendered it’s like actual models have been used. Coming back to the level of detail the lip sync on the dialogue blew me away. You can’t always see the character’s mouths so this could have been something brushed over quite easily but no, detail is obviously everything. It really is remarkable. So I have to have a few gripes, right? Not really. I noticed the odd spelling error in some of the written dialogue and by odd I mean like one or two little things. With the general level of perfection showing in this release this isn’t something I’m going to be complaining about. My only other tiny, gripe is that sometimes when your character touches something, a door for instance, their hand will actually go through it as opposed to opening it. I’m really picking holes now. I can’t think of anything else I didn’t like. I’m going to note this separately because I think it’s something that I’m unsure on. The voice acting initially comes over as a bit wooden in places. Normally I would see this as a fairly major put off point. The thing is, as you play into the game and hear more of the voice overs they really begin to fit the theme. I really warmed to the characters as I played through the game so I’m going to leave this to your own interpretation. To sum up, if you love a good adventure this is one that is well worth taking part in. 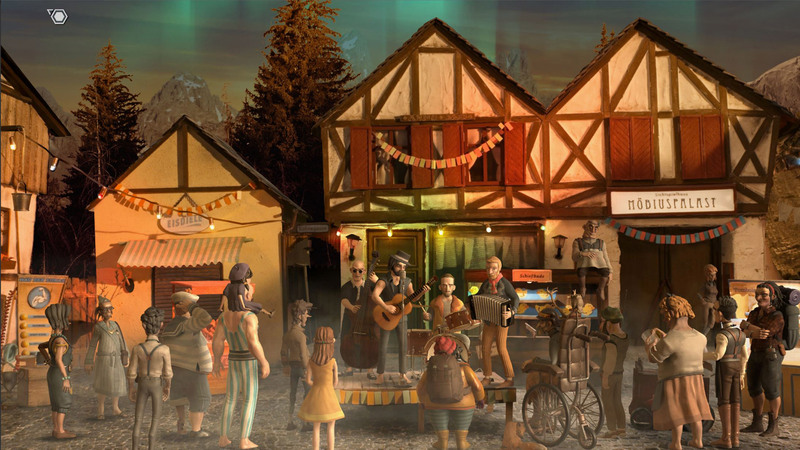 Trüberbrook has re-kindled a love that I had for the point and click adventure that I thought had pretty much died off. It just goes to show that this genre is not a thing of a by-gone age and that a story, if written well will always be immersive and timeless. I think people will be talking about this game in the future with the same fondness we talk about the Monkey Island and Broken Sword series’ today. If this style of gameplay is your thing you would be remiss not to get your hands on this title as soon as you finish reading this review. Incidentally I’m done now. Well go on then, get yourselves over to the Steam store and get playing!